As monthly payments on lease cars are largely based on how much the vehicle’s value will fall over the period of the contract, premium brands that hold their value well are surprisingly affordable to lease. With this in mind, you might be surprised at the level of luxury and ability that you can snap up for under £300 a month. To help you out, we’ve picked out five of our favourite cars you can currently lease for under £300 per month. Even better, they’ve all had the seal of approval from Howard Ritchie, our resident video reviewer! The all-new XC40 is Volvo’s take on the premium crossover and is aimed squarely at the like of Jaguar’s E-Pace and the new BMW X2. If its recent critical acclaim is anything to go by however, it might just be the best out of the three. It won What Car?’s Car of the Year Award, and features everything we’ve come to expect from the sub-cool Swedish brand: elegant style, class-leading safety systems and a premium cabin. 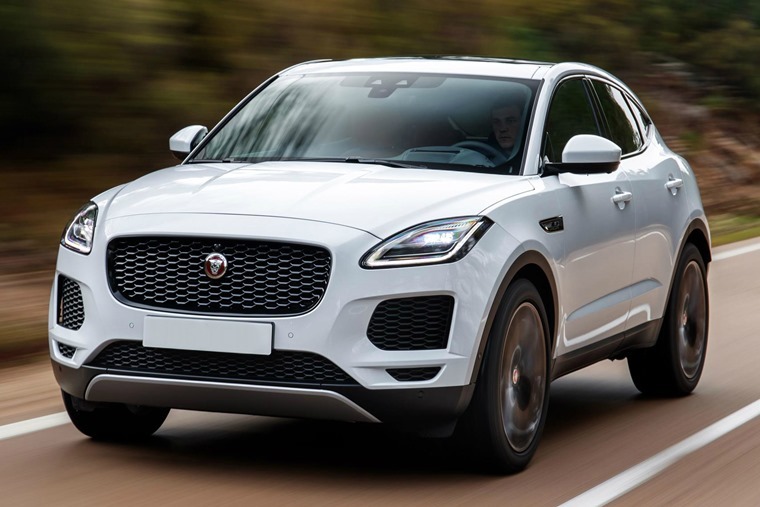 Following the success of its larger F-Pace, it’s little wonder Jaguar was keen to produce another SUV. The E-Pace is the company’s effort at rivalling the likes of the Volvo XC40 and BMW X2 and, in every area, it’s up to the task. It rides and steers like a Jaguar should, and considering its crossover dimensions, it corners better than most. A range of potent diesel and petrol engines are on offer, all of which are efficient and refined. It seems we can’t do a listicle without mentioning this car, but it’s the Mercedes-Benz C-Class that’d be our firm favourite on a £300/month budget and, courtesy of a recent refresh, we reckon it’ll remain one of the most popular cars on our site for quite a while yet. It’s hard to think of more car you can get for your money – it’s got the desirable badge, fantastic handling, and a classy, premium interior. The only thing we think may be able to outshine it is the similarly styled E-Class which can also be had for less than £300 per month too. Fancy yourself a sporty fastback saloon that isn’t German? Well, the Kia Stinger GT is an excellent alternative. It’s the brand’s flagship model offering swoopy eye-catching styling, a rear-wheel drive platform and of course – this being Kia – excellent value for money. It’s a fun car behind the wheel, with that rear-wheel drive set-up making it a genuine match for German rivals as well as the Alfa Romeo Giulia. It’s roomy enough to make it a viable family car too, while also being a supremely capable cruising car for those that do a lot of motorway miles. Volkswagen refer to the Arteon as an avant-garde gran turismo. Not only is it their flagship model but the muscular and arty design means this car is equal parts beauty and the beast, offering a hushed refinement when cruising which can be offset by sporty aggression at the push of the peddle. The Volkswagen Arteon effortlessly combines muscular styling with luxury motoring making it the ideal fastback. *All figures correct as of 08/04/19.